A few of NYFC’s leaders who gathered this winter to education and organize! Starting a farm is no easy path, and overcoming financial obstacles is a huge part of the high risk of failure. New farmers often come up against high costs of land and equipment, just a couple of the many barriers to entry. If our generation is to successfully continue the American agricultural legacy, we need to work together to find solutions. Check out this great piece from Lilia McFarland at the USDA about facing financial challenges in starting a farming career, just published on the USDA blog. Lilia is the USDA’s New Farmer and Rancher Coordinator, and we’re thrilled to be working closely with her and others at the USDA to figure out ways of better connecting beginning farmers and ranchers everywhere to USDA programs and services. At NYFC we’ve brought new farmers to Washington, DC repeatedly to give testimony and brainstorm ways to further support our members, and we’re glad to know that Lilia and the USDA are continuing to focus on addressing these problems. Somewhere between the 12 hour days Jaclyn spends on her 10 acre farm in Northern California plus her off-farm baking job, she somehow found time to pen a great piece in Salon about her experiences as a new farmer. She describes how she and her partner are struggling to balance their love of the land and passion for farming with the financial challenges of starting a new business. 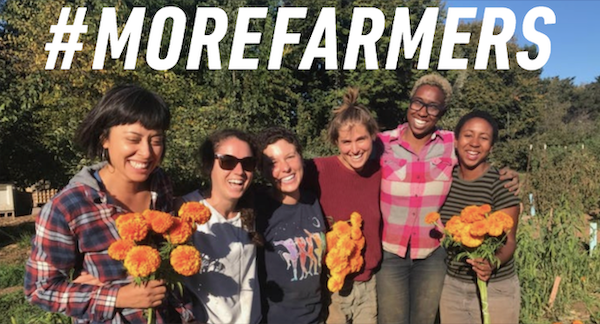 ”Surely many farmers enjoy what they do, as I often find pleasure in my daily tasks, but ultimately farming is work, an occupation, a means of making a living that must fulfill the basic function of a job: to provide an income,” she writes. A farm’s success is predicated on the pen that can balance the books as much as the plow that can sow the land. Farming is a business—and a hard one at that. It requires capital, business planning, market opportunities and, most of all, grit. But, like many small businesses, it can take a while for the financial seeds to grow. Look under every rock. When farmers turn over their fields, they often find rich soil under the surface. Same is with USDA. 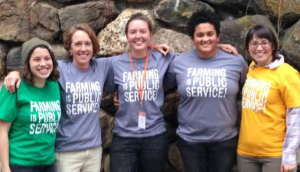 Across the Department, we have programs and policies to help new farmers get started and keeping going. For instance, there are USDA programs to help new farmers find land and capital by facilitating property transfers from retiring farmers or issuing low-interest microloans for land purchases and start-up costs. New farmers can get special rates on crop insurance, and access disaster relief. 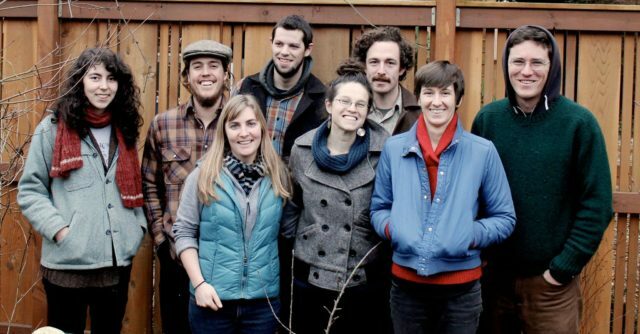 There are resources for young farmers interested in organic practices. There are expanding market opportunities abroad and at home for new and beginning farmers. Indeed, USDA has partnered with over 180 organizations through the Beginning Farmer and Rancher Development Program to develop workshops, education teams, training and technical assistance specifically to help new farmers access the range of USDA assistance designed specifically for them. One is the loneliest number. In addition to being hard work, farming can also be lonely work. But you are not alone. Find other farmers through clubs, networking, and anywhere else, to guide you. Visit your local USDA service center. They can offer you good advice, make sure you have the help you need and connect you with other farmers who are probably going through what you are. To find a USDA Service Center in your area, please visit the USDA Service Center Locator. Surf the net. After a long day in the field, the last thing farmers want to do is stare at a computer screen. However, there is valuable information out there you don’t want to miss. A good place to start is usda.gov/newfarmers, a one stop shop to see what programs are available to help you succeed. And finally, always pass on what you have learned. As a young farmer, you are paving the way for yourself and others. You can offer valuable advice as to what is working and what isn’t on your farm and in your business. You can help other farmers realistically plan their operations. Your lessons learned can be someone else’s path to success. Use #newfarmers to tell your story with others. So, here’s to Jaclyn and all the new farmers and ranchers out there. We hear your voice, applaud your hard work and want to hear from you. You can also read this piece on the USDA’s blog here.